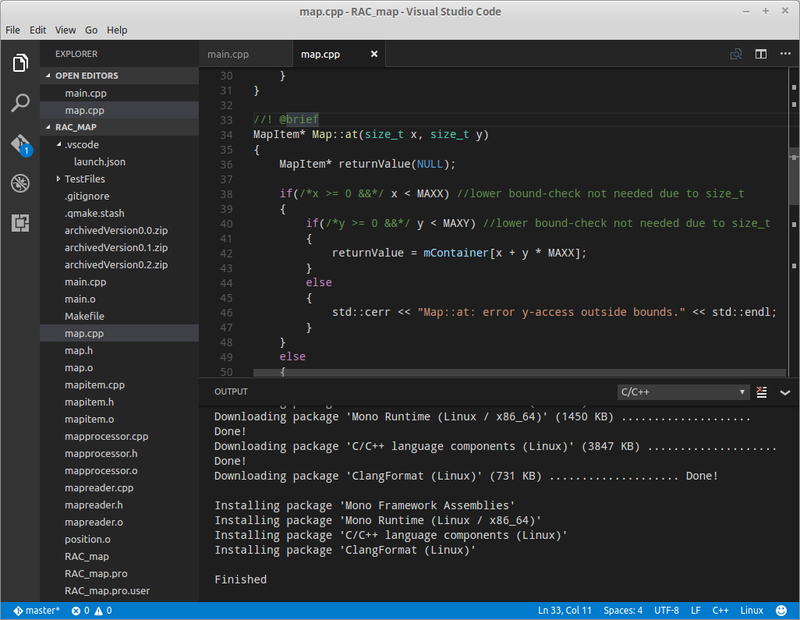 I’ve given Visual Studio Code for Linux as prebuilt rpm-package a try. I don’t know what I expected ten minutes ago, but I am definitely under-whelmed! Another editor with syntax-highlighting, code-completion, integrated git-support and the ability to add “extensions” for all kinds of stuff. But: do I miss the trick or how do I start build binaries? (edith: possible via some “we need another build-configuration-system..”-JSON). OK, it was fun to test, but now back to my favorite IDE* 😉 gedit & gcc on the terminal can do the same, so I don’t see any reason to use VS Code. Maybe for Go or one of the other languages, but not C++. Wanted to illustrate an annoying fact by a short animated clip. byzanz is the tool to go. And this guy describes how to install and use it via a small helper-script. Not much more to add. Can’t wait for a full reinstall and then testing apt-fast with the whole distributio-update. Use it now for month – updating has never been faster. Poor OSX- and Windows-users ..